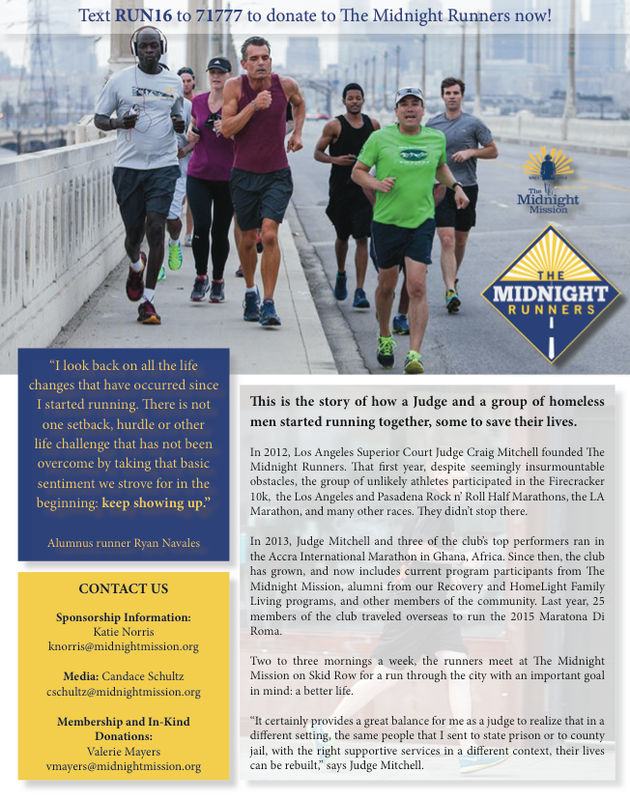 For every $25 donation to The Midnight Mission, you’ll be entered into the raffle for a chance to win Airline tickets, Dodgers tickets and more! In the spirit of Thanksgiving, this event benefits the Midnight Mission – an amazing organization that offers a path to self sufficiency to those suffering from homelessness. This year, the Turkey Trot Los Angeles has stepped up its giving game. With the support of the UAE, BOMBAS, and our amazing community, we’re on a mission to help make L.A. a better place for everyone! Check out our video HERE from one of our recent volunteers day at the Midnight Mission. If you would like to volunteer, you can do so HERE. The Midnight Mission offers a path to self-sufficiency to men, women and children who have lost everything. Their emergency services, 12-step philosophy, job training, education and work programs offer a compassionate bridge to productive lives. They help remove obstacles to self-sufficiency and provide the accountability and structure that people who are experiencing homelessness need to rejoin their communities. You can help by purchasing a pair of BOMBAS socks during online registration. For each pair purchased, we’ll donate a pair to The Midnight Mission along with a donation of $12.00. To offer a bridge to self-sufficiency for homeless people through engagement, education, training and job placement. To support the 12-step approach to recovery. For more information, please go to www.midnightmission.org.